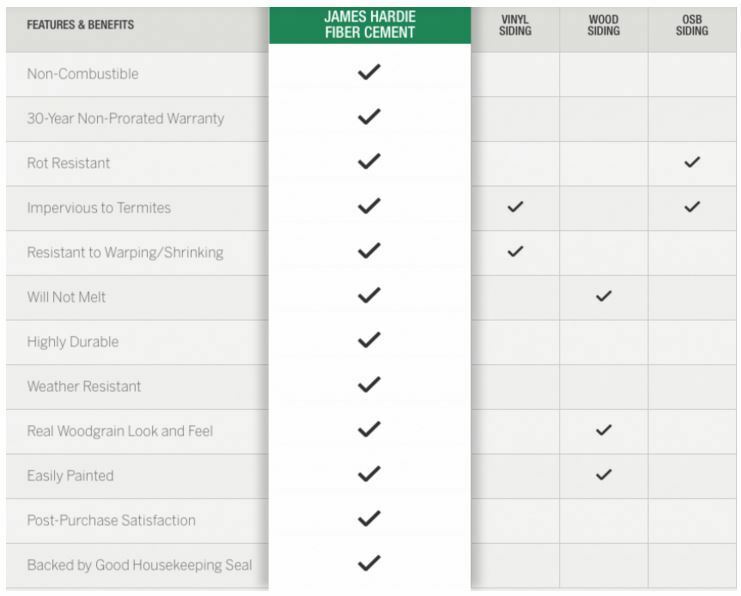 How Does James Hardie Compare to the Competition? James Hardie fiber cement products combine beautiful design with high performance. Time and time again, we beat our competitors on both curb appeal and durability. James Hardie has always been ahead of the siding industry curve. 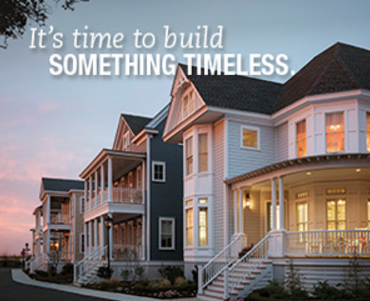 Technology advancements put James Hardie 5 generations ahead of generic fiber cement. James Hardie products are specifically engineered to withstand damage from Colorado's climate, and will hold their own, come rain, sleet, or snow. 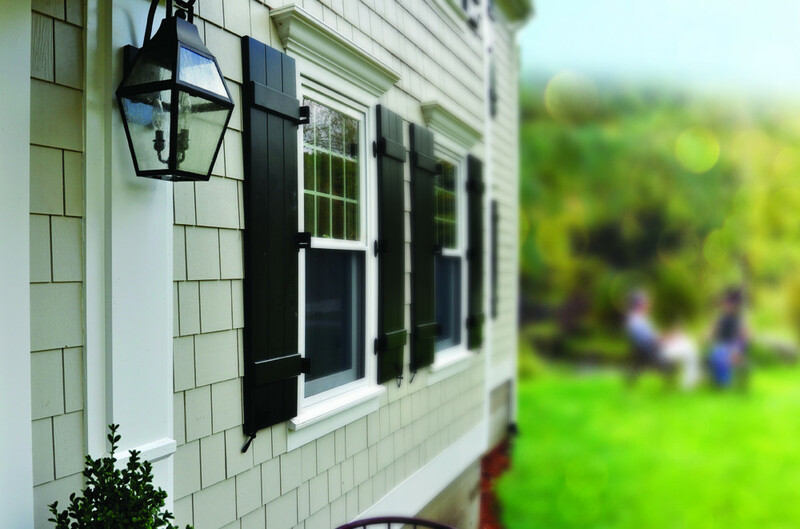 Call Gravina's today at 794-0490 for a free consultation and estimate on your next James Hardie Siding project. ***DISCLAIMER: James Hardie Building Products Inc. (“Hardie”) warrants, for a period of thirty (30) years (the “Limited Warranty Period”) from the date of purchase of Hardie Fiber-Cement HARDIEPLANK® HZ5®, HARDIEPANEL® HZ5®, HARDIESHINGLE® HZ5® and HARDIESOFFIT® HZ5® products (each, the “Product”) for installation within the U.S. (except Alaska), Puerto Rico and Canada (except Yukon Territory, Northwest Territories, Nunavut, Newfoundland and Labrador, Nova Scotia, Prince Edward Island, and New Brunswick) that such purchased Product complies with ASTM C1186, will resist damage caused by hail or termite attacks, and is free from defects in material and workmanship. This Limited Warranty extends only to (i) the first retail purchaser of the Product; (ii) the first owner of the structure to which the Product is applied and (iii) the first transferee (each a “Covered Person”). If, during the Limited Warranty Period, the Product is defective in material or workmanship, Hardie will, in its sole discretion, either repair or replace the defective portion of the Product, or, during the first (1st) through the thirtieth (30th) year, reimburse the Covered Person for up to twice the original retail cost of the defective portion of the Product. After the 30th year, this Limited Warranty will expire and shall no longer be applicable. If the original retail cost cannot be established by the Covered Person to Hardie’s reasonable satisfaction, the cost shall be determined by Hardie in its sole and reasonable discretion. Hardie’s repair, replacement, or refund of the defective portion of the Product or reimbursement pursuant to Section 2 of this Limited Warranty is the exclusive remedy for the Covered Person for any defect in materials or workmanship. HARDIE WILL NOT REFUND OR PAY ANY COSTS IN CONNECTION WITH LABOR OR ACCESSORY MATERIALS. This Limited Warranty does not cover damage or defects resulting from or in any way attributable to: (a) The improper storage, shipping, handling or installation of the Product, including, without limitation, failure of the Product to be installed in strict compliance with the Conditions of Limited Warranty set forth in Section 3 of this Limited Warranty and/ or improper installation of studs or other accessories); (b) Further processing, modification or alteration of the Product after shipping from Hardie; (c) Neglect, abuse, or misuse; (d) Repair or alteration; (e) Settlement or structural movement and/or movement of materials to which the Product is attached; (f ) Damage from incorrect design of the structure; (g) Exceeding the maximum designed wind loads; (h) Acts of God including, but not limited to, tornados, hurricanes, floods, earthquakes, severe weather or other natural phenomena, (including, but not limited to, unusual climate conditions); (i) Efflorescence, peeling or performance of any third party paints, stains and/or coatings; (j) Growth of mold, mildew, fungi, bacteria, or any organism on any surface of the Product (whether on the exposed or unexposed surfaces); (k) Lack of proper maintenance. or (l) Any cause other than defects in material and workmanship attributable to Hardie. THE ABOVE LIMITED WARRANTY IS THE EXCLUSIVE WARRANTY FOR THE PRODUCT. HARDIE DISCLAIMS ALL OTHER WARRANTIES, EXPRESS OR IMPLIED, INCLUDING ANY IMPLIED WARRANTIES OF MERCHANTABILITY, FITNESS FOR PARTICULAR PURPOSE OR OTHERWISE. In the event that applicable consumer law prohibits the disclaimer of an implied warranty, the above Limited Warranty shall not extend the time period of any such implied warranty. Some states do not allow limitations for consumers on how long an implied warranty lasts, so the above limitation may not apply to you. This Limited Warranty gives you specific legal rights, and you may have additional rights, which vary from state to state. The Best Choice. Year after year, Remodeling magazine has ranked re-siding with fiber cement the #1 return on investment when compared to other mid-size remodeling projects.